…he’d undoubtedly choose the Trek Madone 9.2. Like the imperial lord, it's an intimidating thing that demands respect from the get-go. It’s also fast. Very fast. 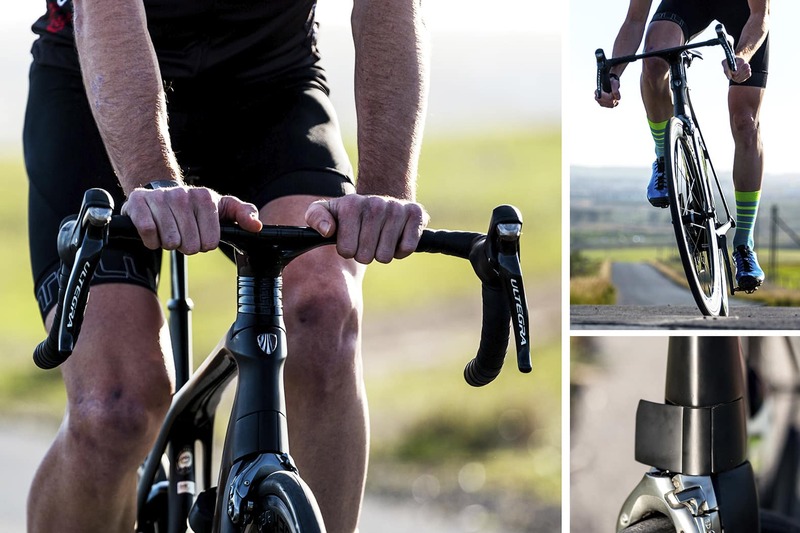 Aero road bikes are becoming increasingly popular in both the pro and the amateur racing peloton, and there’s a very good reason – they’re fast. This extra performance often comes with a pretty substantial compromise, though: loss of pliancy. But what if manufacturers were able to dial in a meld of attributes, and create the perfect all-round road bike? Witchcraft, you might think; but we reckon we may have found one… a mad one, actually. Black on black on black. While it won’t be to everyone’s taste, few can dispute the slick aesthetics and kerbside presence of the all-new Trek Madone. Its sinister façade is finished off superbly in matte black, which offsets the heavy, gloss-black Trek logos on the down tube. It looks superb. It looks fast. And that’s exactly what Trek wanted. The frame’s aero appearance features the same tear-drop KVF tubing as the previous model. 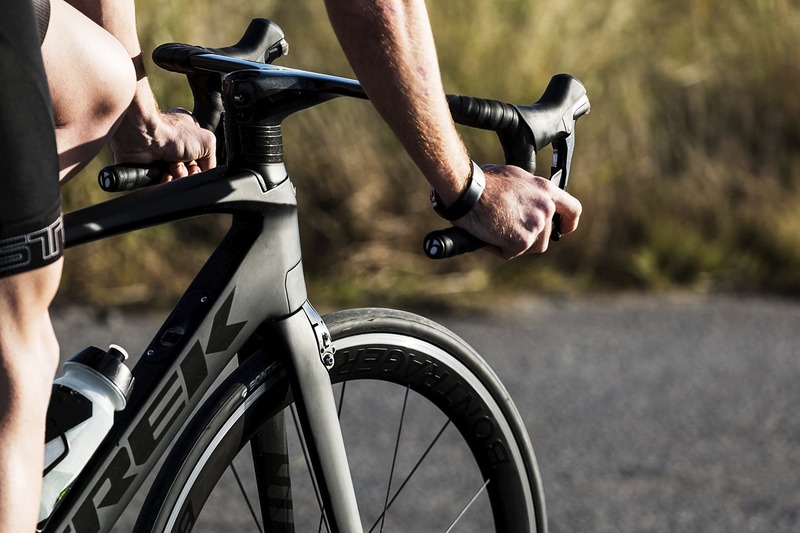 Trek says the new one was designed using a special program called Alphamantis, which has helped it gain a 19-watt advantage over a standard road bike at 40km/h. Impressive. Integration has become all the rage lately, and you can see it in the detail. There are no visible cables, and the design is clean. 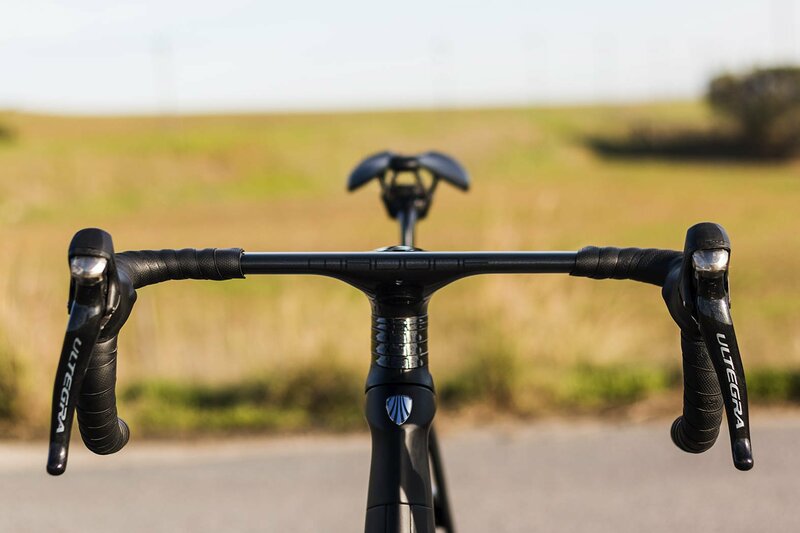 The detailing, too, is exquisite, and everything you see has a purpose – we love the integrated brakes, seat post and one-piece stem and handlebar (complete with Madone typeface), and those Bontrager Auru 5 Aero wheels look and sound amazing at full chat. And the Vector Wing Flaps? Damn, those things are mesmerising. Essentially, what they do is hide the upper part of the front brake cable as well as smooth airflow around the front brakes. You’d expect something as aero-looking and performance-oriented as the Madone to possess a certain harshness, and an unforgiving ride quality, right? But it doesn’t. The Madone feels as comfortable going flat out as it does cruising down the cycle lanes. And there’s a reason for that: it employs the same isoSpeed decoupler (a device that essentially allows the seat tube to flex, like suspension) as the Domane does, doling out a plusher ride. Trek claims a 57.5% improvement in vertical compliance over its nearest competitor – the Giant Propel. All we know is that the Madone can be raced on weekends, and used to commute to work during the week – it’s that comfortable and forgiving. 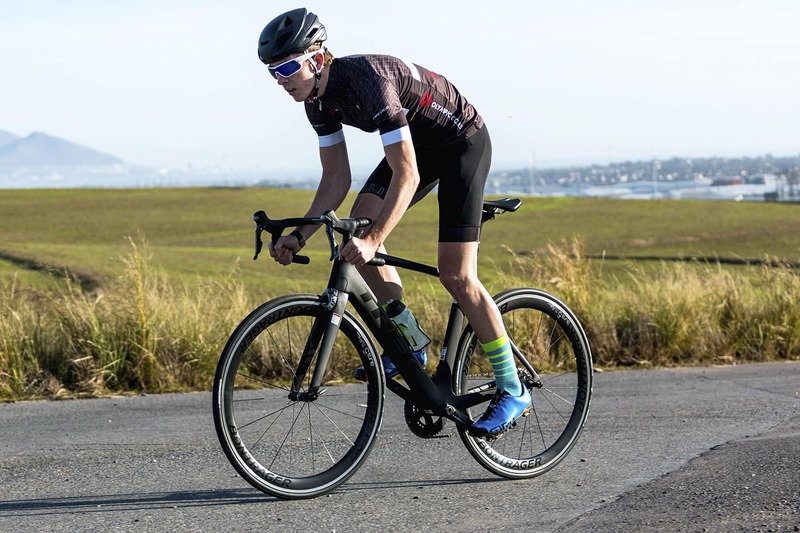 The Madone comes standard with the tried-and-tested 11-speed Ultegra groupset (for pricing purposes, we assume), and it works well with the package – ours featured a 50/34 front and 11-28 drivetrain set-up, something we feel delivers the perfect ratios for all types of terrain. 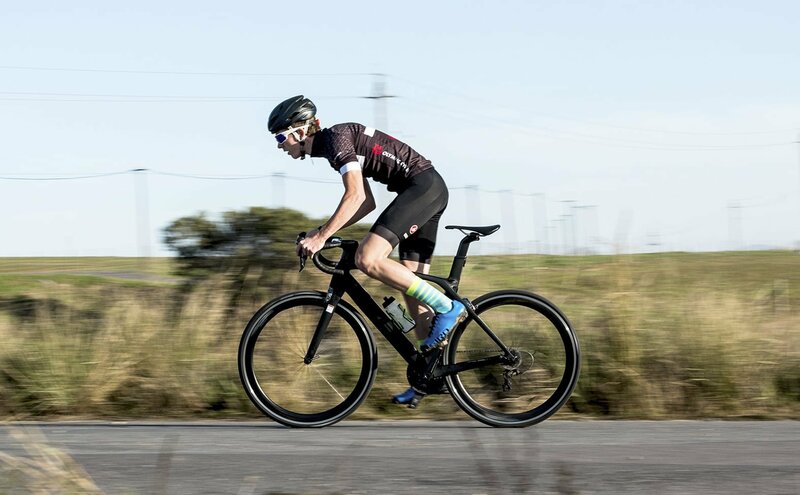 The power delivery is immediate – and the sound from the drivetrain and aero wheels adds to the sensation of speed. Ah yes, that noise… The sound effects from the wheels are simply amazing – TIE-fighter-like, in fact – and they coerce you into pedalling harder and harder, until you near an anaerobic state and have to tap off. It’s that addictive. Aero by design, the proprietary integrated front and rear brakes work very well. Stopping power is modular and effective, and requires very little assertive input when coming to a halt. But what of the squiggly stuff? Well, it handles appreciably well in the curves too, requiring little steering input to scythe through even the tightest of corners. 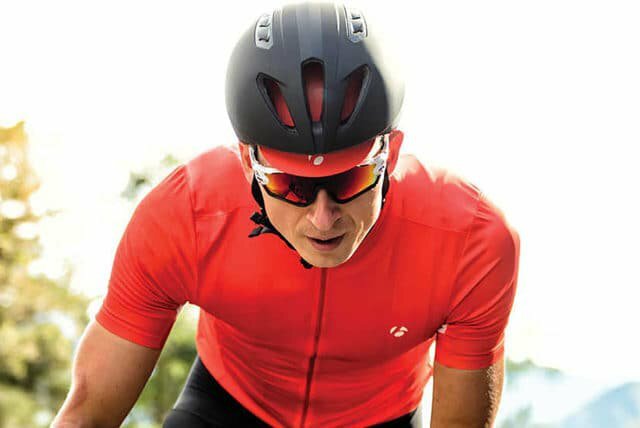 It all feels very telepathic – symbiotic, almost, which is something you don’t often feel on a bike.